The use of Nitrous Oxide in Midwifery is both an old and new tool in the birth space. I’d like to use this post to discuss my experiences with it as a Midwife as well as some of the data available. Many years ago, I had been the Clinical Director at a free standing birth center. I was excited to take the lead and spearhead some changes, one of these was to offer Nitrous Oxide (N20) use to our clients in labor. This is something that I had been wanting to do for several years. I had been reading about it and researching it since I was a student midwife. The first time I proposed this to the other midwives, it was not popular and was basically ‘voted’ down. A year or so passed, we had some changes in midwives and I presented the idea again. This time the response was very positive and we decided to go for it. I then did all the necessary things; staff training and education, ordering the equipment, letting our families know complete with educational handouts and consent forms, and all the other technical requirements. And in September of 2014 we rolled it out. I am proud of this work and that we were the first facility, hospital or birth center, to offer its’ use in the state of Colorado. Since then, several other facilities in the community have introduced it. I am now the Director of Midwifery at a new birth center, Seasons Midwifery & Birth Center, and we offer Nitrous Oxide at this facility as well. Nitrous was first synthesized in the 1700’s but was not used medically until the 1850’s when it was introduced in dentistry for pain relief. As a gas, it is non-flammable, nearly odorless and colorless. Often referred to as “laughing gas” it was introduced to laboring women in the 1880’s and then in 1934 a self-administering device was created and the use became widespread. 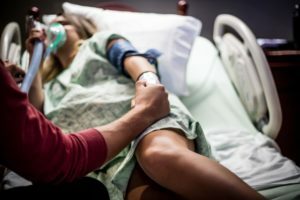 In most of the industrialized world, Nitrous is still common with up to 80% of women using it to help with coping and pain management in labor. When used in labor, Nitrous is an analgesic NOT an anesthetic. This is a very crucial distinction to understand. Analgesics help a person to cope with sensations of pain without causing any loss of consciousness. Analgesics allow the person to remain alert, aware of their surroundings and in control of their bodies. One of the main effects of Nitrous is as an anxiolytic, or anxiety reducer. In this way it can help some folks to relax and work more easily with their contractions. Nitrous does not have any effect on the hormone oxytocin so it will not inhibit or increase the strength or timing of contractions, thus it can be utilized in any stage of the labor process. Additionally, it has a positive effect on the levels of endorphins and prolactin while having a negative effect on the stress hormone, cortisol. There are numerous studies over decades with hundreds of thousands of women and babies to prove the safety and efficacy of N2O. I have included links to several of these below, please look into them, don’t simply take my word for it. A crucial piece of Nitrous Use in Midwifery is that the laboring client has autonomous control. Only they may hold the mask and administer the gas, to the best benefit for them. The mask may not be propped or strapped to the face, ensuring that the person remains in control. In fact, for many women, the use of N2O results in feelings of empowerment and self-confidence, again don’t take my word for it and see the resources below. Prior to using N2O at my center, I had never seen it used. I was simply passionate about it as a safe option for laboring folks. As a midwife, I am committed to ensuring that families have options and are presented those options with true informed consent. I spoke with several people; other midwives, experts in the field, families and felt that it should be an option. Being a pioneer, to be the first to bring this option to families in our state, was sometimes intimidating. However, it was work that I am proud of doing as it only increases access and choice to the families of my community. The birthgiver is in complete control. It can be used in the birth pool, sitting on the birth ball, in the bathroom on the toilet, standing at the bedside…you get the point. It can become a sort of focal point that helps them to focus on their breathing. Clearly, N2O is not for everyone and sometimes it just does not offer any benefit for some individuals. Nitrous does not take the pain away and so the expectations have to be appropriate. What I have noticed in social media forums is that there is a definite bias in some of the “natural childbirth” communities against N2O. Bias that using N2O is not “natural birth”. That it is a type of cop out or that only women who don’t have good enough midwives, support persons or who are not properly prepared would need it. To me, this smacks of judgment, which is something I think that we all as humans need to be very careful of. Judgment runs rampant in our current birth culture and this is just another example of that. So, what do you think? Have you used N2O yourself or have you had clients use it? I would love a positive, open discussion about all thoughts. Nitrous Oxide for Labor Analgesia: Expanding Analgesia Options for Women in the United States by Michelle R. Collins, PhD, CNM et al. I love that you’ve championed bringing nitrous oxide to your birthing center. On a wider level, it’s good that those looking after laboring women in the US are starting to offer it as well. I’m in the UK so gas and air as we call it has been used for decades to help women cope during labor. I’ve used it during my own births and found it very helpful. 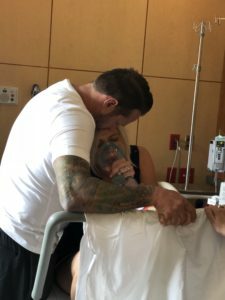 It got me through my pitocin induction without an epidural. It got me through the stitches after that birth. For my 3rd birth it took a lot of the stress away. There are so many plus points and you listed them all. Thanks! I feel strongly about options and having them available. I also really like the use of Nitrous for laceration repairs, they are many people who even when we use lidocaine still have a lot of anxiety and the Nitrous can make a huge difference. I have also used it in the clinic setting for IUD insertions and other invasive procedures with great results. Are you aware of the restriction of nitrous not being able to be used by those with the MTHFR gene mutation ? Hi Rebecca, thanks for taking the time to comment. I have looked into this issue extensively; reviewed literature, talked to experts, etc. I cannot find any credible, verifiable “proof” of this concern. It seems to be theoretical only. N2O has been used outside the US, regularly for decades, and if this was an issue it would have shown up in the data. Current estimates are that up to 40% of people carry the MTHFR variation (I use variation purposefully as if it this common it is not a mutation), so all the more reason that any concerns would be detectable. Now, we do know that significant Vitamin B deficiency is a reason not to use N2O and some folks who have MTHFR may have this concern, for them we would not use this option in labor. I personally have had clients who are +MTHFR (but no Vitamin B deficiency) use N2O with no issues but we did have them do some extra nutritional support afterwards. Also, it is very important to remember how N2O is utilized in labor; intermittently as opposed to continuous, mixed with O2 and a very low concentration. I know that there are sources available that contradict what I am saying, I would invite everyone to dig a little deeper into the science, if you still have concerns after that then absolutely do not use N2O for yourself if you are +MTHFR. I hope this starts to answer your question and again thanks for taking the time to ask.